Sea of Thieves is getting a new PvP mode called The Arena, due to release in early 2019. Sea of Thieves' new competitive mode was revealed during Microsoft's X02018 event, and will see players competing against rival crews to collect the most treasure. Rare's executive producer Joe Neate described the new mode as "all the best bits of Sea of Thieves condensed down to a shorter session". The new mode will introduce a new tavern area, alongside the Sea Dogs faction. 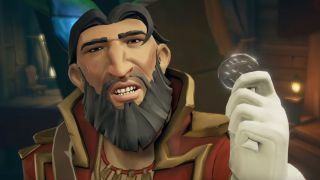 The Arena is 'coming in early 2019' and will be a free update for all Sea of Thieves players - though Pioneers will get to play first.